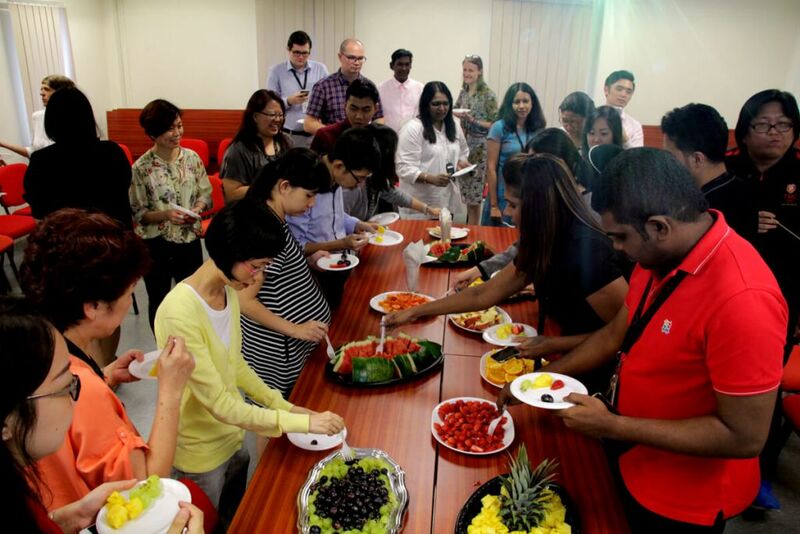 As part of World Health Day, the staff of TMC Academy enjoyed platters of fresh fruits during our annual fruits sharing session on 13 April 2017. This yearly initiative is into its ninth year, with aims to promote a healthy workplace at TMC Academy with the support from the Health Promotion Board’s Health Grant. 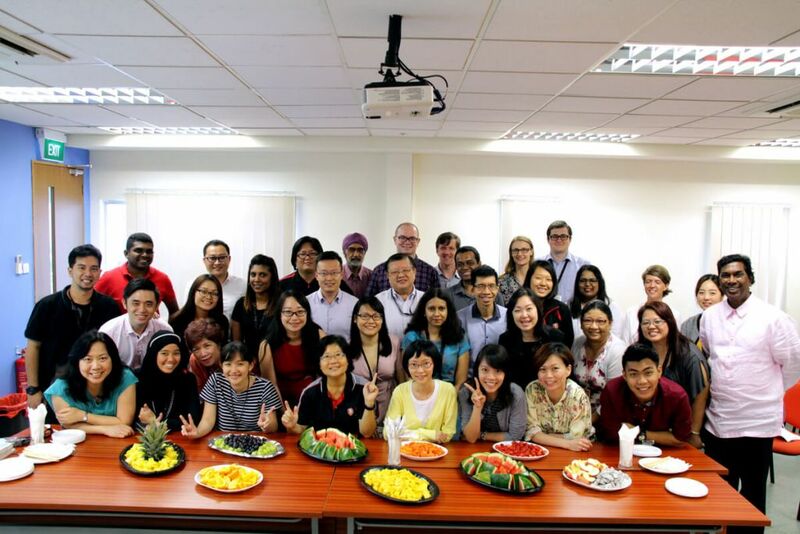 Ms Julia Kan, HR Assistant Manager and Health Ambassador of the school, is the organiser of this session, as with other activities and programmes that promote healthy living for employees. 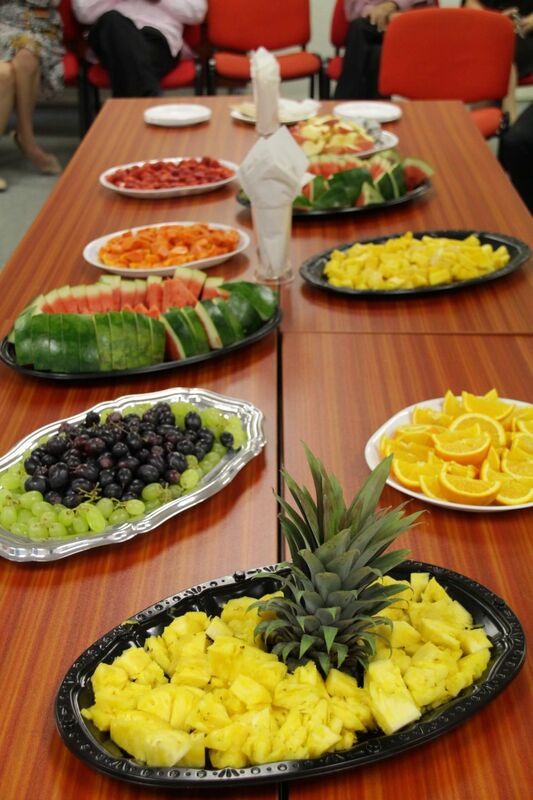 During the session, TMC Academy staff bonded over a wide selection of tropical fruits like oranges, pineapples, mango and dragon fruit, while taking the chance to unwind and catch up with fellow colleagues after a day’s work. It was a much needed break as most colleagues were busy with exam week and the upcoming May student intake. In fact, the session was postponed a week later than the official World Health Day, which falls on 7 April, due to the busy academic schedule. This however, did not deter Ms Julia from continuing this health tradition. 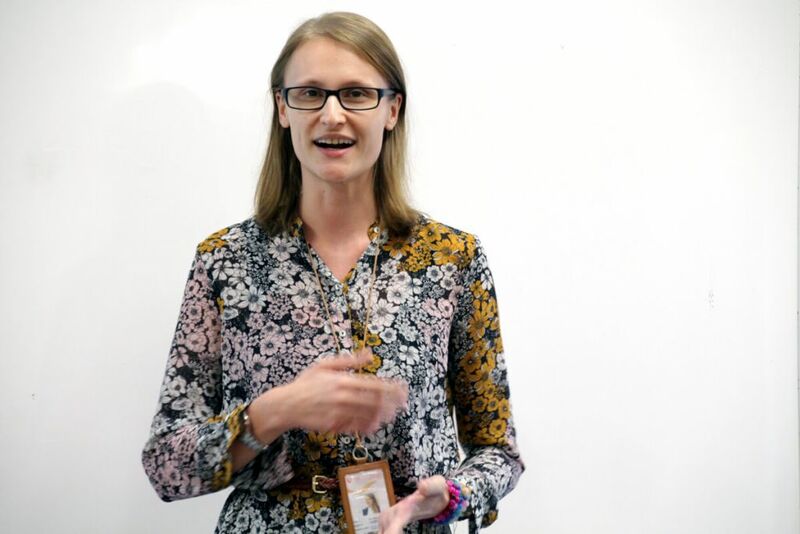 To add variety to the session, Our Hospitality & Tourism Lecturer, Ms Gosia, was invited to share her thoughts on being awarded Best Academic of the Month last November. She expressed gratitude on receiving the award and went on to share her thoughts on what makes a good teacher. According to Ms Gosia, there were 3 points: 1. Coming up with different teaching styles to make lessons interesting, 2. Sporting a good personality and maintaining a good relationship with students, and 3. Having the knowledge and effort to prepare for classes. 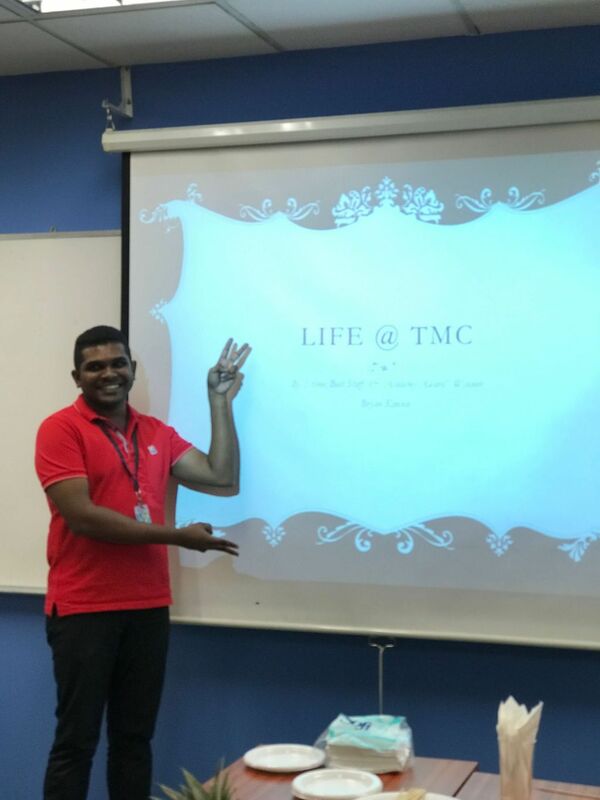 To end the session on a joyful note, our Facilities Manager, Mr Bryan, presented an interesting viewpoint on his life at TMC Academy. It was all in good fun and everyone had a good laugh. Apart from this yearly tradition, Ms Julia shared that colleagues have formed interest groups like jogging and swimming on a regular basis. There are also plans to organise health talks during lunch hour in the upcoming months. Meanwhile, let’s all move towards a healthy workplace and active lifestyle!